The 7-year warranty is also included which shows how much faith Kia has in its cars today. The fixed price servicing is also a nice touch. The 4 door saloon offers spacious versatility and practicality and with a boot space of 510 litres there’s ample room for long journeys and trips away. The engine choice is good with the 1.7 litre diesel manual being the best with returns of up to 67.3mpg. Automatic versions are also available. The 5-star safety rating from NCAP lets you know this is a safe car. The well placed dashboard provides a soft finish with the overall feel a big step up from the previous version. 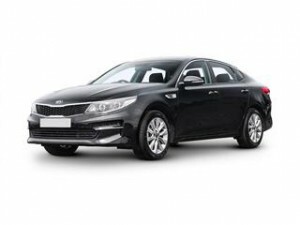 If you’re dreading spending hours searching online or driving round many dealers looking for the best deal on your new Kia Optima, then we can help. Our service which is free does all this for you. Here at Coast2Coast Cars we search the UK wide network of dealers for Kia to get you the best Money saving deal. All we require is 2 minutes of your time filling in the car building form and we do the rest saving you hours. It’s totally free and with no obligation to accept the quotes. Finance is an option also.